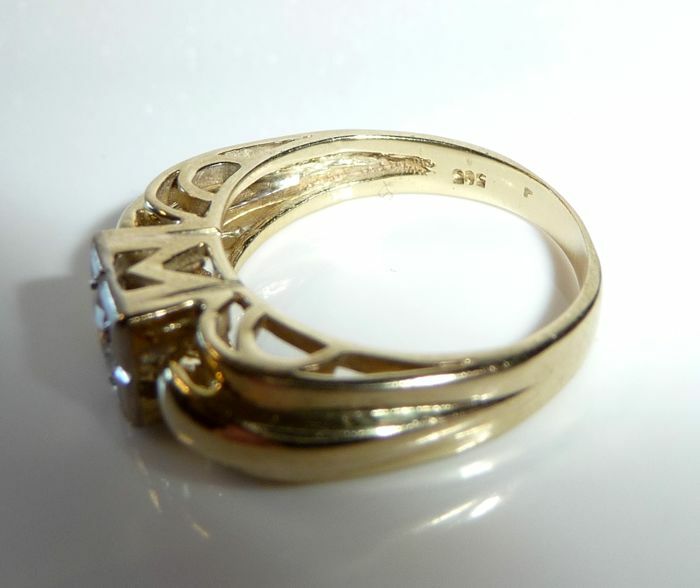 Handmade ring designed transverse to the finger. 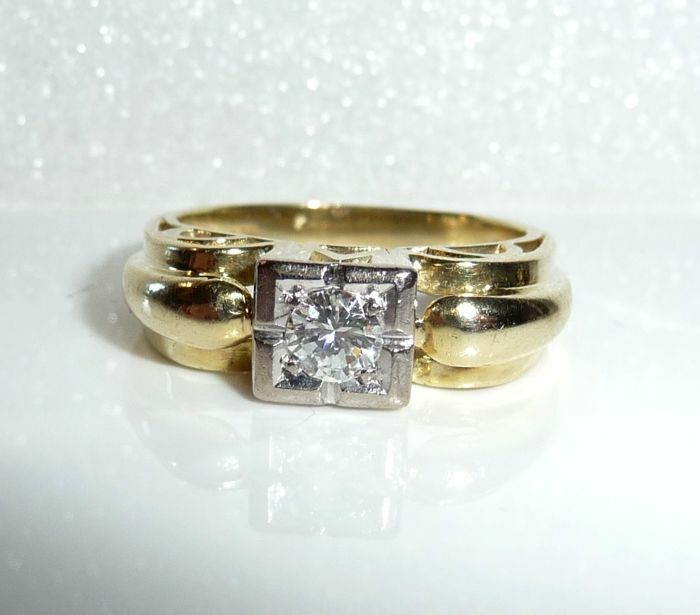 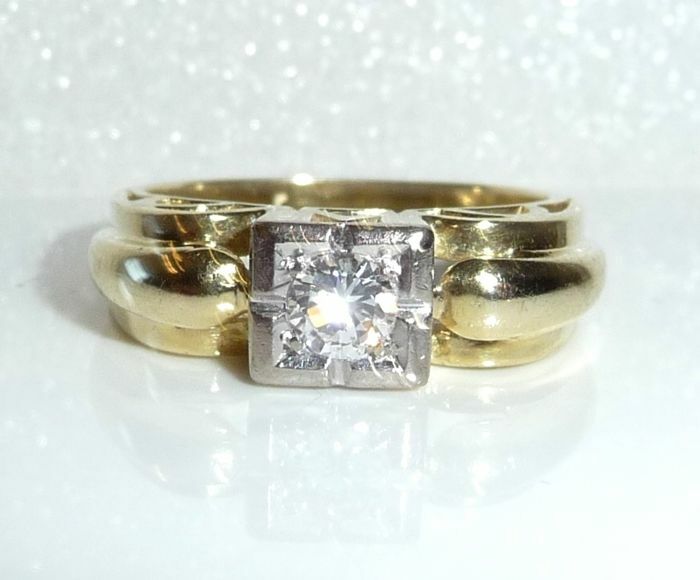 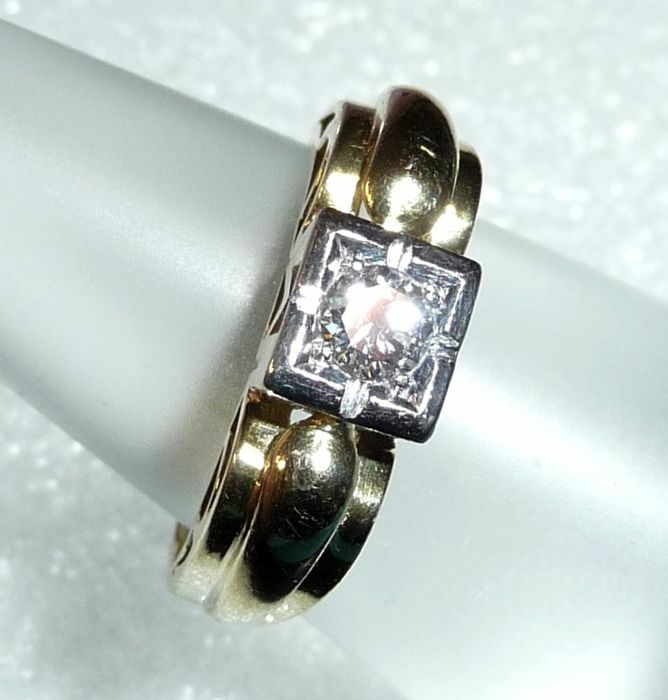 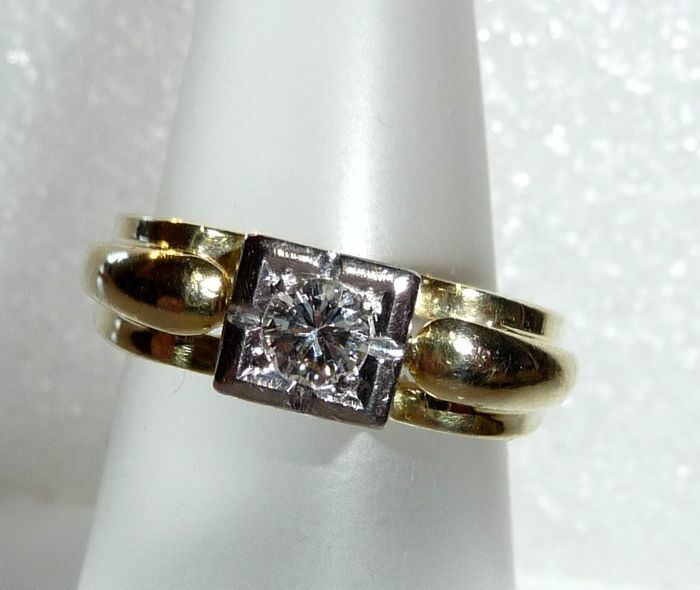 The ring is in 14 kt / 585 gold and has an artistic side profile. 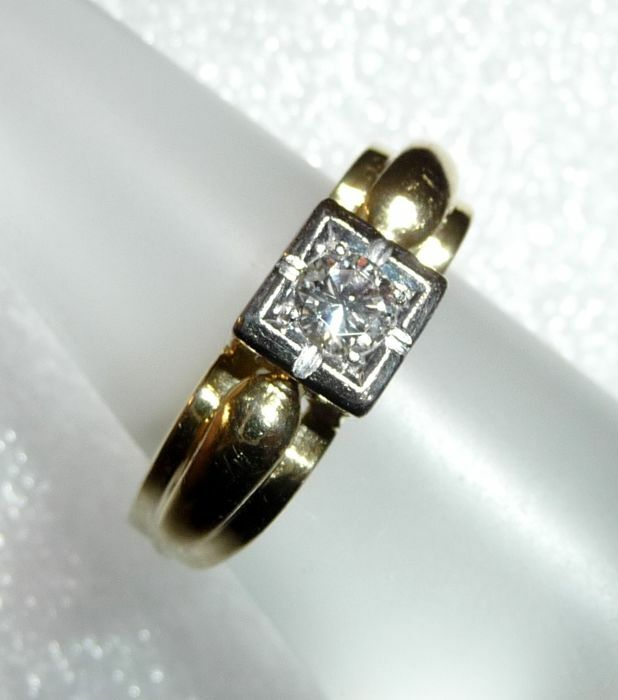 In the centre is set a 0.25 ct brilliant cut diamond of very fine quality (G/VS). 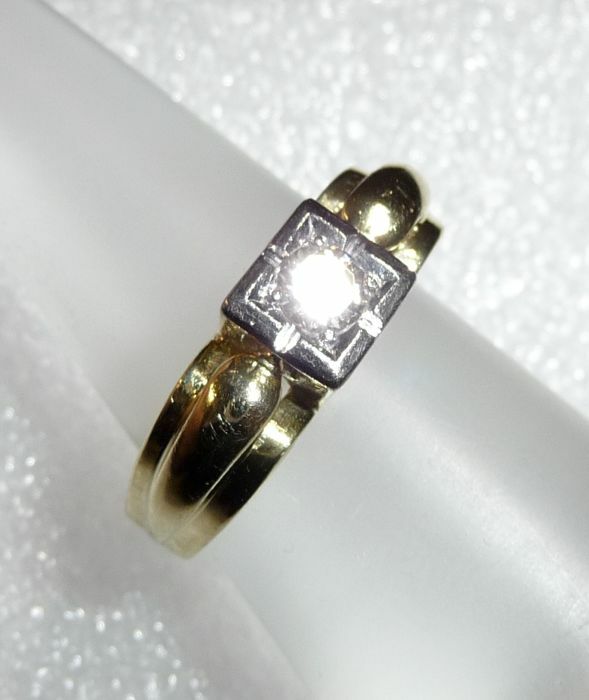 The square setting with white gold frame makes the already very large diamond appear even larger. 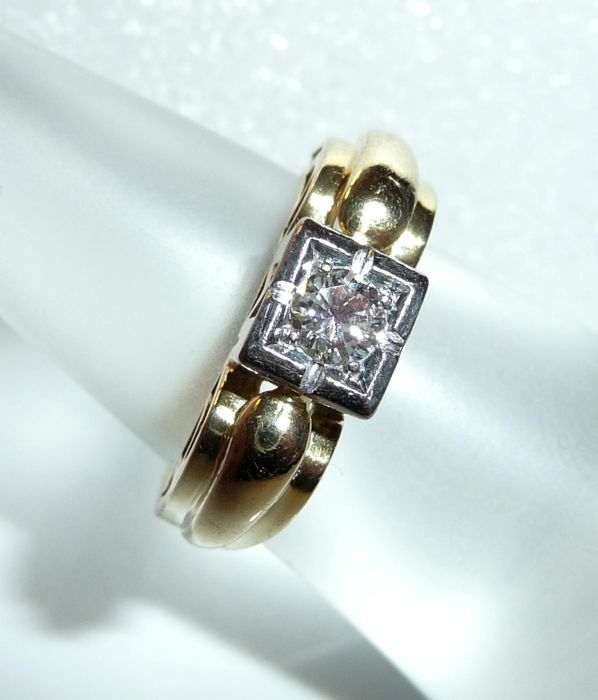 The good cut gives the diamond great brilliance. 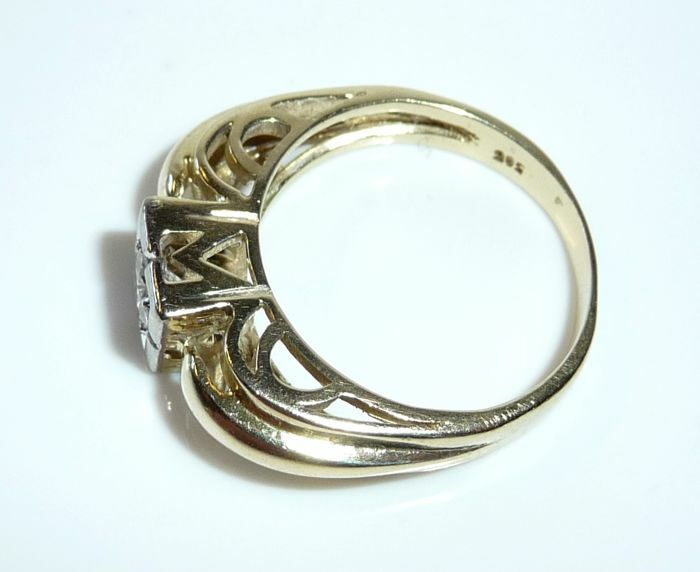 The ring also combines well with a wedding ring.